We manufacture all our packaging in our dedicated UK factory. If you are looking for a specific or earlier delivery date get in touch. Are you looking for a custom design? Our in-house carton design team is happy to help create a bespoke packaging solution. 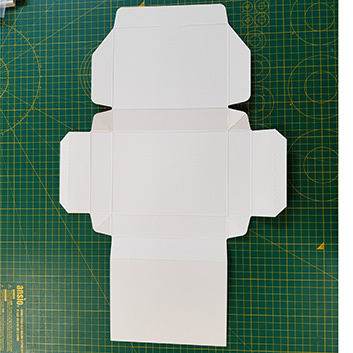 The self-assemble box with hinged lid is a versatile packaging. 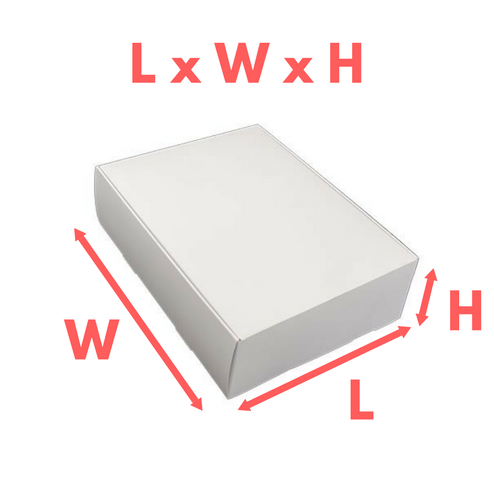 Printing allows full coverage to the outside of the box and to part of the inside of the box. The self assemble base leaves clean lines to the inside and outside of the box. These Presentation Boxes are sent out flat packed ready to assemble. Minimising storage costs and space requirements. Die-cut & creased with a double walled construction. Giving this box a strength and a sturdy feel when assembled. 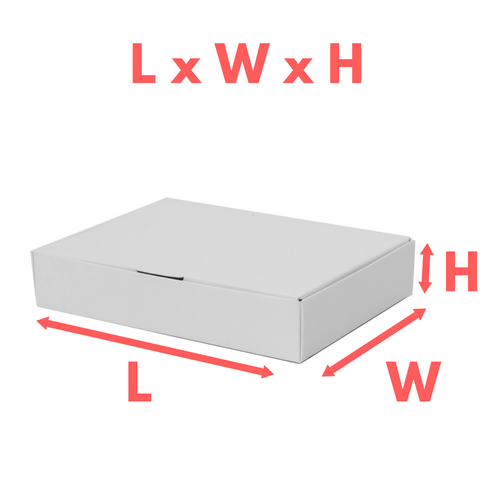 A smart self-assemble hinged lid box, presenting your contents in a neat box that can be open and closed easily. The design provides an easy to open branded box. 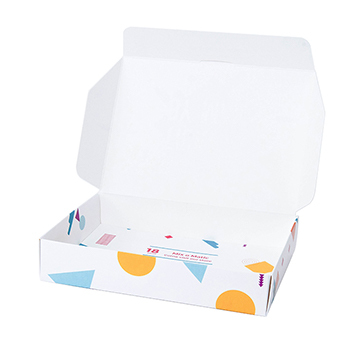 The Small size easily fits A6 Size items making it the ideal size to hold jewelry, confectionery (Should not be in direct contact with the printed surface) & as a small presentation box to hold membership passes, invites or gift cards for example. Fully Recyclable & as FSC Certified board all pulp is sourced from well managed and sustainable sources. High Quality print giving photo quality results. Why not order 1 prototype copy to see the finished product before ordering in larger volumes? Die-cut, Creased & Supplied flat ready for assembly. 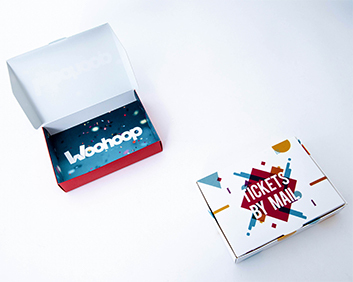 Click "Use our online design tool" above to use the Woohoop online packaging design tool. Design, preview & approve your design as a 3D proof in minutes. Alternatively you can design your own artwork offline. First, download our PDF artwork template (Available above) and drop your artwork in using a design tool (we recommend Adobe Illustrator). Then click "Upload your artwork as a PDF template" above to Upload & Preview your artwork before ordering your packaging online. If you can't find what you are looking for we can offer completely bespoke design and production services with custom sizes available just get in contact. Specialist Materials - With the ability to use UV inline printing we can print to a wide range of paper and boards. Window Patching and custom apertures - We can produce gift packs with window patches in the size and shape you require.